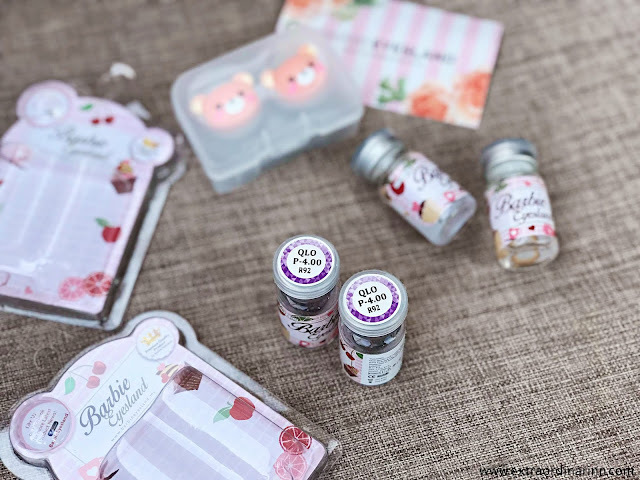 Barbie Eyesland has been around for many years and the best part of the brand is that they are handcrafted in Malaysia by Malaysians! I'm always an advocate for showing support for local brands because we do have brands here that are on par with international players and are of good quality as well. 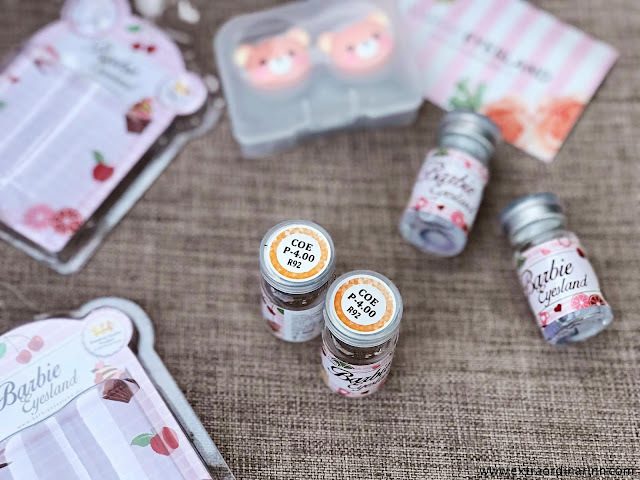 The parcel arrived in a small compact box and even comes with a free Rilakuma contact lens case and some candies. To be honest, this is the first time I'm using contact lenses that come in bottles. Prior to this, it was important for me to know the brand of lenses I'm wearing so that I'm not putting anything dubious in my eyes. But Barbie Eyesland is a trusted brand amongst many of my friends which is why I was brave enough to try it this time. I didn't even know how to break the container open, I had to ask my bf to open for me LOL. I chose 2 pairs of lenses to try; one that is more suitable for everyday wear and one that is slightly more theatrical. 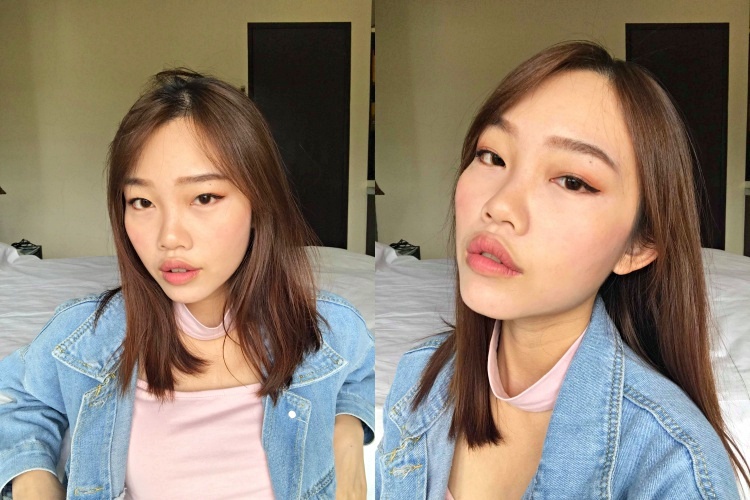 COE is Oh My Pearl Brown shade while QLO is Galaxy Violet shade. My eye power is slightly lower than -4.00, but I had to pick one that is a bit higher to compensate for my astigmatism. I only picked from the 14mm section as I look weird if I wear anything with a bigger diameter. 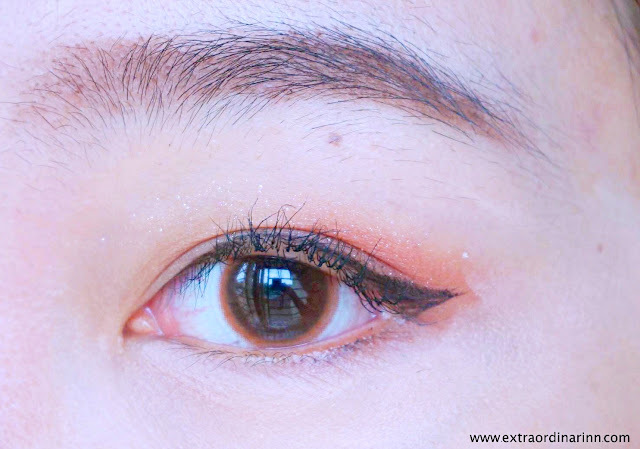 Oh My Pearl Brown is a very beautiful light brown shade (more orangey). My friends actually recommended me to get Oh My Pearl Choco which is more natural, but I wanted to try something lighter which I've never touched before. I have extremely small irises as you can see.. That's why the brown part seem to just be on the outer ring of my eye instead of actually turning my iris brown.. So this is something that you might want to take note of when looking for contact lenses. I don't really mind it, but the next time, I will definitely choose a colour lens that has a wider coloured surface. This colour makes my eyes look so classy though! If you're just going for a natural everyday look, this lens is so perfect! Totally makes me look more awake and youthful, plus it matches my hair colour too. I'm a fan of Olens from Korea, but I can only get them when I have friends who travel to Korea. There is this galaxy lens that I've been dying to try, and I'm so glad that Barbie Eyesland has it, and at a fraction of the price too! 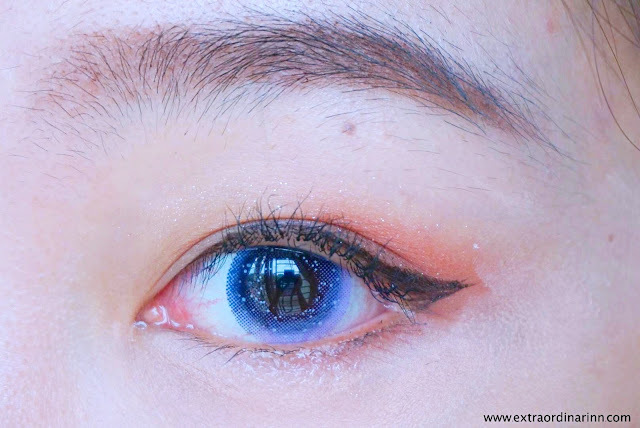 This is the QLO Violet lens that has tiny stars design on it to make your look like they contain a galaxy far away. This one has a slightly larger diameter at 14.5mm. Y'all. I'm so in love with these!! 😍My bf can't accept the "extraness" of this lens, but hey, it's not like I'm wearing it everyday! I love the subtle purple gradient and the tiny stars design to give your eyes that dreamy, ethereal feel. People are bound to do a double take when they see these on the windows to your soul! 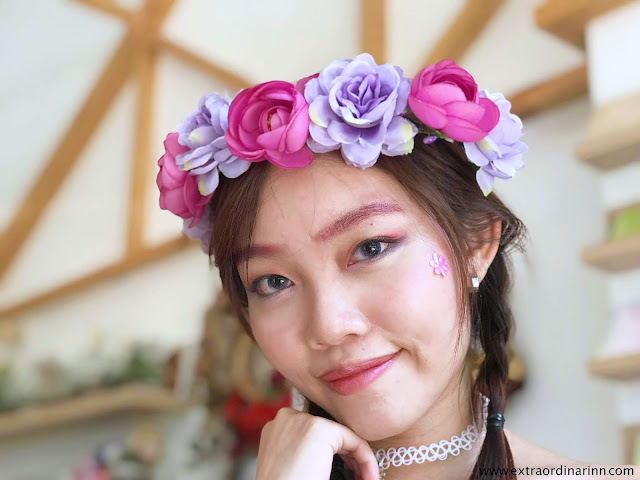 I had a Fairy themed event to attend a few weeks back and I can't believe how perfect these lenses are to complete my colourful look! People were praising how cool my eyes looked. These lenses are not necessarily for when you have on more "over-the-top" looks, but can definitely be an "It factor" to elevate your casual wear too. I think I'll be getting the pink galaxy lens to try out next! 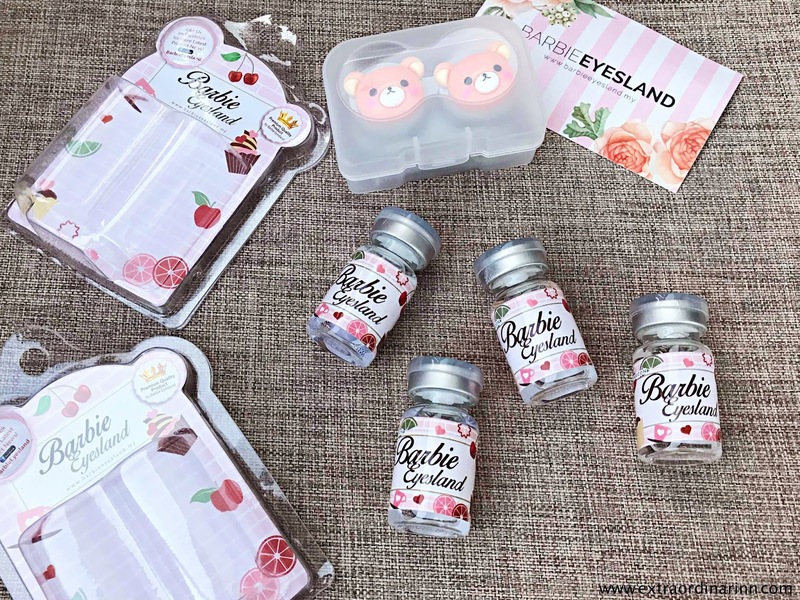 It's so convenient to order from Barbie Eyesland as you can shop for your colour lenses online and they deliver really quickly to your doorstep! Mine took about 3 days to arrive. Plus, you only need to order 1 or more items to enjoy FREE shipping. I did ask some friends if they wanted to do group buy with me too because you get up to 40% off; the more you buy, the more you save! 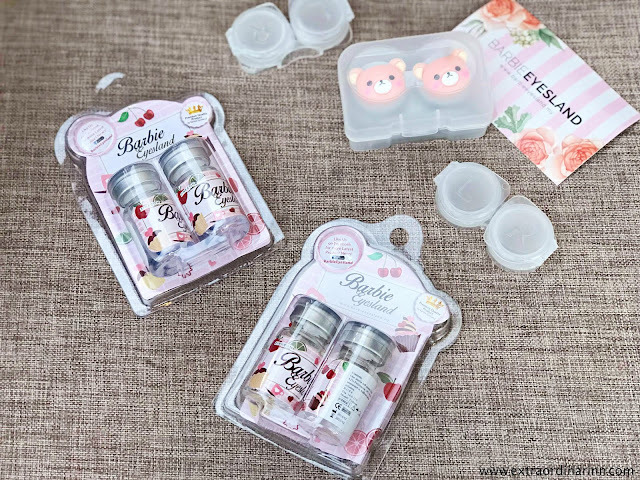 Finally, Barbie Eyeslands lenses are quite comfortable, but I would advise against wearing them for more than 6 hours because it tends to dry out faster. Take it from me, as an avid contact lens wearer for over 10 years. Your eyes will feel tired when they're dry, so carry around a bottle of eye drop with you at all times. Btw, these 2 lenses that I got are supposed to be for 3 months use. 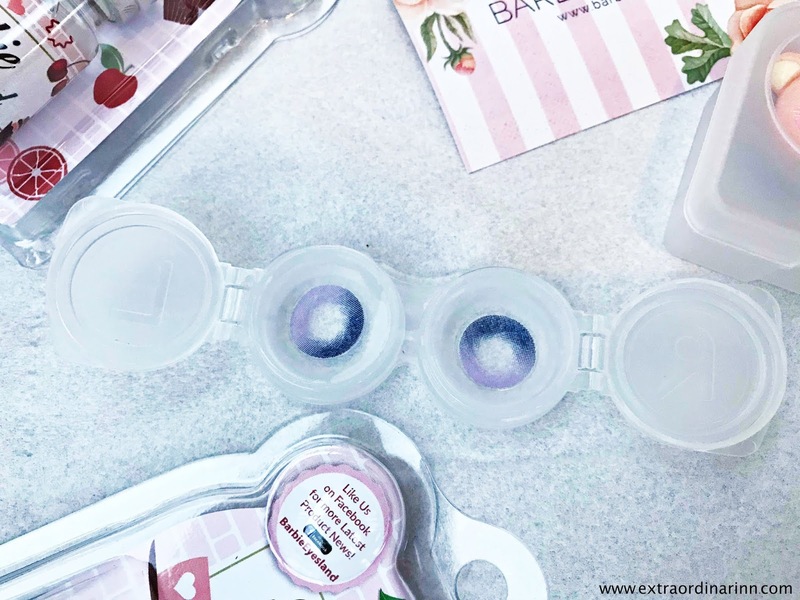 If you plan to keep them for so long, you should practice changing the contact lens solution (if you're not wearing daily), and make sure to CLEAN THE LENSES VERY THOROUGHLY. 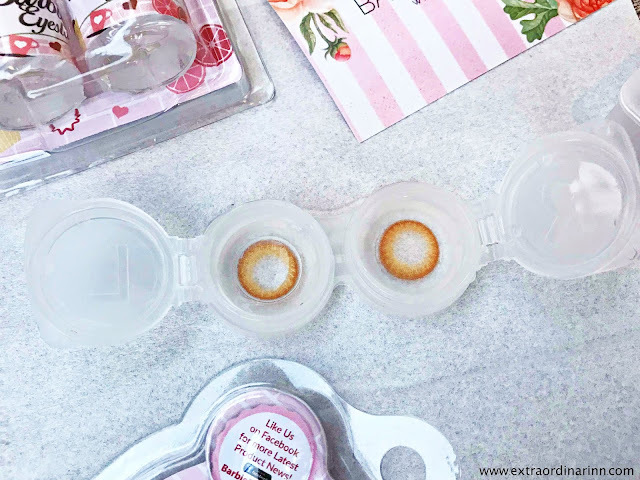 There's a lens suction thingy for you to pick up the lens that comes in the parcel, so you don't have to use your fingers, so use that instead to clean your lenses. Use the case that Barbie Eyesland gave because I find that they're tighter when shut, so that no dirt can go into the lens casing, and the solution doesn't evaporate as well. I just wish Barbie Eyesland would come up with an astigmatism version of colour lenses soon so that I can wear these babies even at night, cos currently it's hard for me to wear colour lenses and drive at night.